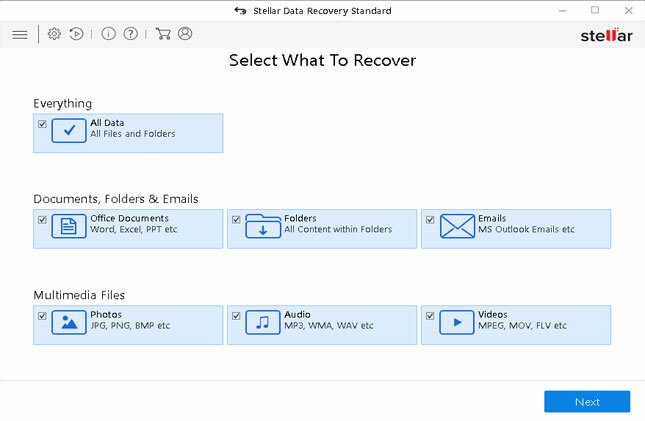 Stellar Data Recovery Standard: Recover your lost data! This Windows data recovery software is a simple software for home users to recover data quickly and easily! Packs enough punch to recover data from common data loss scenarios like lost and deleted files, corrupt hard drives, virus attacks, and then some more. Try it now to get back your documents, photos, and videos etc. from any Windows device, Camera SD card, USB, and other compatible storage media. This Windows undelete software enables you to recover Lost or Deleted files from your computer’s hard drive or any external storage device. Enhanced feature of the software helps you to select a specific drive or folder you wish to recover your files from. Stellar Windows Data Recovery comes with a smart feature, which allows you to find deleted files in your logical drive. 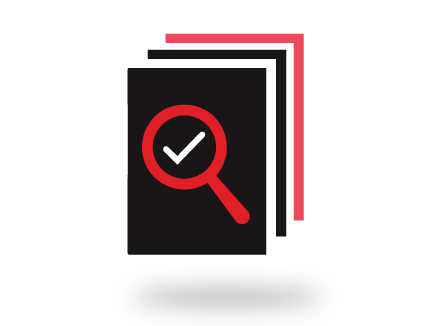 This software enables you to search files by name, type, and also check the deleted files or existing files option. You can also search for lost or deleted data in a specific folder. In addition, you can search for the particular folder from a logical drive. The software has two level of scan method, Quick scan & Deep Scan. 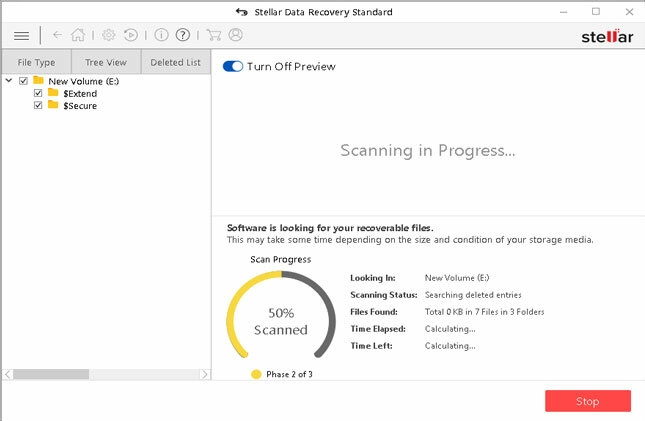 Quick Scan is helpful in most of the cases for recovering the lost data. If software is not able to find the data in Quick Scan it automatically switches to Deep scan. You can also switch to deep scan if you are not satisfied with the results of ‘Quick Scan’. Accidentally deleted your priceless photos from your phone? Now, worry no longer about losing your precious photos from your phone. As long as the data is stored in your phone’s memory card, this Windows undelete tool will take care of it. Now you can easily undelete Windows files from your corrupt pen drive, hard disk, memory card, and also from your camera’s memory with this advanced utility. It also recovers data from CF cards, Flash cards, SD cards (Mini SD, Micro SD and SDHC card), and Mini Disks. 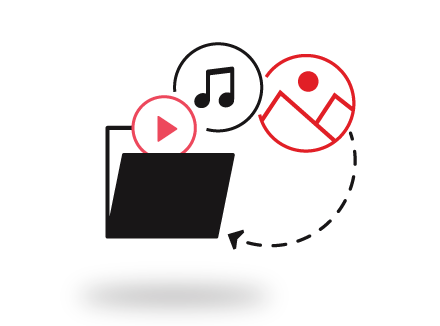 Getting back your recovered data in a disorganised way may make it difficult for you to identify important files even with the preview details available. 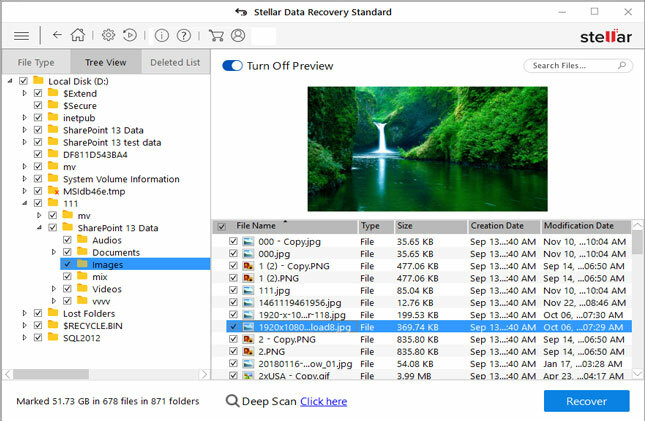 Stellar Windows Data Recovery software provides you with the Filtered Tree option to make it easier for you to sort your files easily. 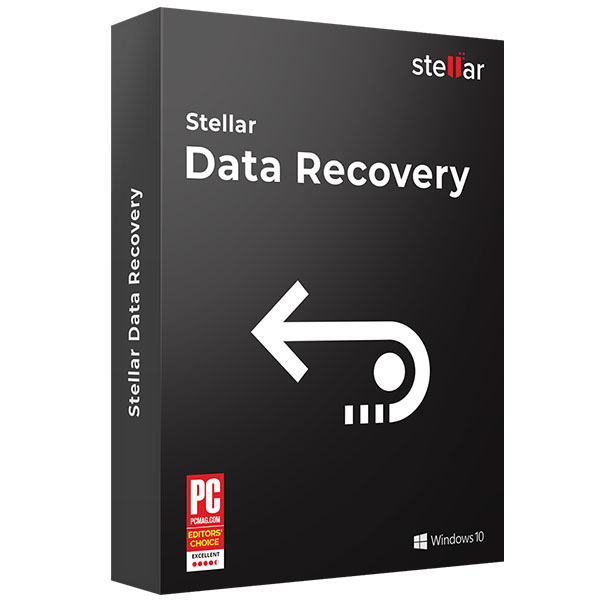 "Stellar Windows Data Recovery is the obvious first choice among data recovery software. A beautifully designed, efficient interface makes the program a pleasure to use". 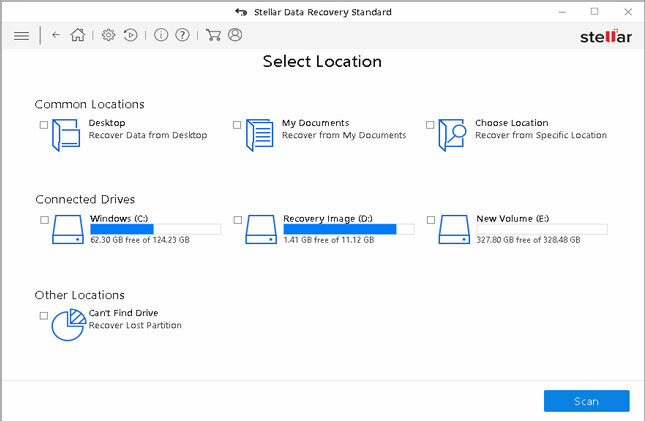 "Stellar Windows Data Recovery is excellent data recovery software, and we're recommend it particularly highly if you're a keen photographer looking for missing photos or an uncommon file type..."
"Stellar is one of your best options for getting your files back. 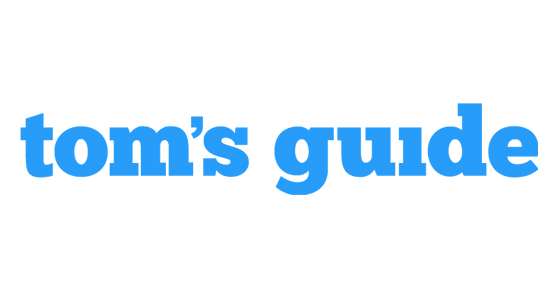 The program il both easy to use and robust, letting you recover entire folders and directories, or search for one file at time."